ASP WORLD CHAMPION DECIDED TODAY! Massive 10-15 foot (3-4 metre) waves at Pipeline beginning at 9am local time and today’s proceedings will see the crowning of the 2013 ASP World Champion as well as the Vans Triple Crown of Surfing Champion. Stop No. 10 of 10 on the ASP World Championship Tour (WCT), the Billabong Pipe Masters in Memory of Andy Irons has seen ASP World Title contenders Mick Fanning (AUS), 32, and Kelly Slater (USA), 41, advance to the final day of competition, setting up a dramatic finish to the culmination of the 2013 season. C.J. Hobgood (USA), 34, will face off against two-time ASP World Champion and current ASP World No. 1 Mick Fanning (AUS), 32, in Heat 1 of Round 5 to start Billabong Pipe Masters competition today. Surfline, official forecasters for the Vans Triple Crown of Surfing are calling for: Consistent double to triple overhead+ waves at Pipe (faces running in the 10-18′+ zone) with larger sets at times. Some 2nd reef roll-ins to be had and the occasional 3rd reef wash through early. Primarily Pipe, mostly closed out at Backdoor. Light offshore SE wind in the morning. Some of the high res wind models indicate a weak sea breeze could develop through parts of the afternoon. Partly to mostly cloudy skies, occasional passing showers throughout the day. Event organizers will reconvene tomorrow morning at 6:30am local time for a possible 8am start to Billabong Pipe Masters competition. 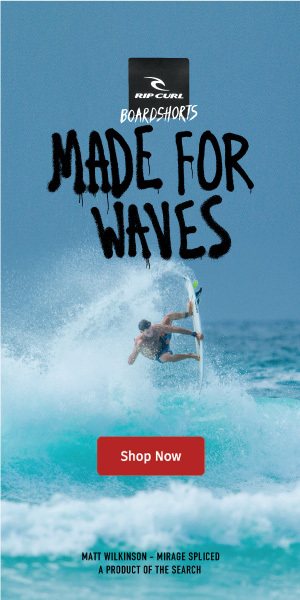 For additional ASP information log on to www.aspworldtour.com.